These coaches, however, may be unprepared for what they’ll encounter when working with a group of children. It’s up to the community organization to train their volunteer coaches to ensure they’re prepared to take on the challenge. In addition to training about the sport itself and what the organization expects from the coach, there are also a few safety topics to review with new coaches. Coaches often work outdoors with large groups of children so they have to monitor the weather. In case of severe weather, like tornadoes or lightning, coaches need to know the organization’s policy. Is practice cancelled? Do they reschedule? If the weather is questionable, it’s always best to err on the side of caution. Also, how are coaches going to communicate with parents if a practice or game is cancelled? An email group or a team Facebook page can be helpful for communication purposes. Another weather concern is extreme heat. Every year we hear about young players collapsing during an outdoor sports practice when their bodies overheat. Coaches must be vigilant in monitoring the heat index and ensuring the children drink enough fluids throughout the practice or game. Coaches use different types of equipment for their practices, from balls and cones to nets and hoops. It’s important to regularly inspect equipment for defects and safety issues. 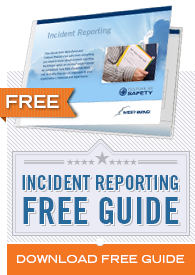 Serious injuries can result from faulty equipment. One example is the risk posed by unsecured soccer goals. These heavy metal goals have seriously injured and even killed children when they tip over. Coaches should securely anchor these goals to the ground before starting a practice or game. Minor injuries are common during youth sports. Coaches should always have a first-aid kit with them. We recommend coaches be certified in CPR and first aid. This will help them keep their players safe. Concussions can happen in almost any sport. Repeated or severe head injuries have a significant impact on a child’s life. Coaches should be familiar with the signs of a concussion and be prepared to take a child out of the game or practice if he or she is showing any symptoms, such as headache, confusion, temporary loss of consciousness, dizziness, or ringing in the ears. 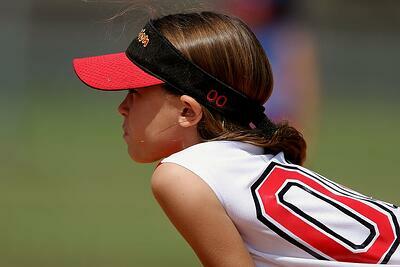 Coaches should notify parents right away if they suspect a child has suffered a head injury. An issue coaches don’t usually think about is a child abuse allegation. Abuse allegations can have a devastating impact on someone’s life. Even if the allegation is false, the accusation alone is enough to result in a coach losing his or her position and, more importantly, reputation. Organizations must train coaches to understand this issue. A parent acting as a coach won’t think twice about being left alone with a child, but this is exactly when an accusation can occur and the coach would have no corroborating witnesses. Give coaches ideas for what they should do in different situations. What should a coach do if a parent fails to pick up their child after practice? The coach could ask another family to stay until the child’s parent arrives. What if a parent asks the coach to drive the child home? They can politely explain it’s against the organization’s policy for coaches to drive their players anywhere. By the same token, coaches are most likely mandated reporters of child abuse. There are many different signs of child abuse. If a coach notices a child acting differently or just feels something is off, it’s important to know the procedure for reporting child abuse. Coaches will need training on appropriate interactions with their players. Sometimes coaches are tempted to use inappropriate language to relate to their players, especially with older children. This, however, reflects badly on the organization and the coach. It’s also important to discuss how to interact with children and what the organization expects. What kind of touching is okay? High fives? Hugs? Does this change as the children get older? Explain the organization’s policies very clearly so coaches can avoid using inappropriate language or interactions. If outdoors, the weather is checked and planned for. Children have access to water and snacks as needed, especially in hot weather. Parents and children are aware of what to do in case of an emergency. Coaches have emergency contacts for all of their players. All necessary equipment is available and has been pre-inspected. Children have all the required safety gear to play. The field or gym has been inspected for any debris or hazards. Goals or nets are secured. A first aid kit and AED are available. Coaches are aware of their players’ medical conditions. Coaches are aware of the signs of a concussion and are prepared to immediately take a player out if he or she exhibits any of the signs. Children are led through a warm-up to prevent injuries before starting practice.